This model is similar to the Single-Case Model. 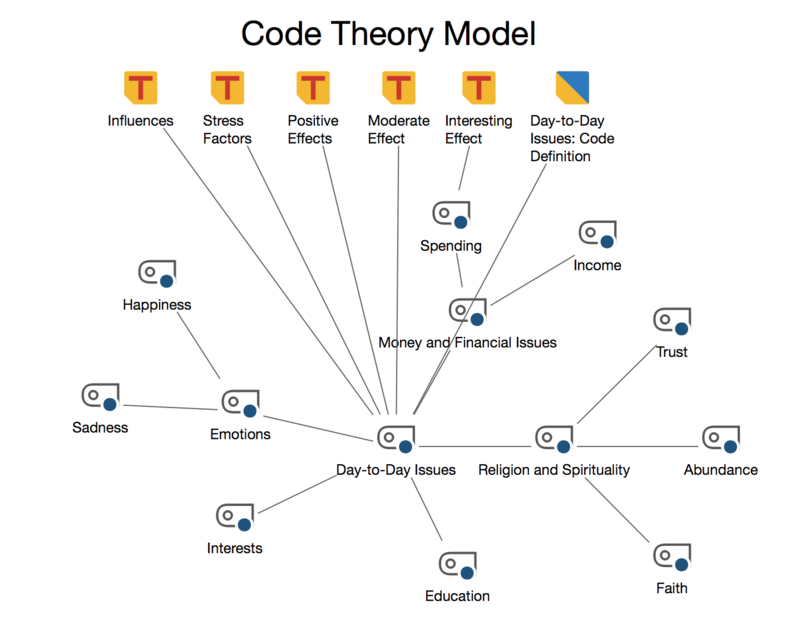 This model also focuses on one code, but instead of displaying the code’s coded segments it displays subcodes and memos. 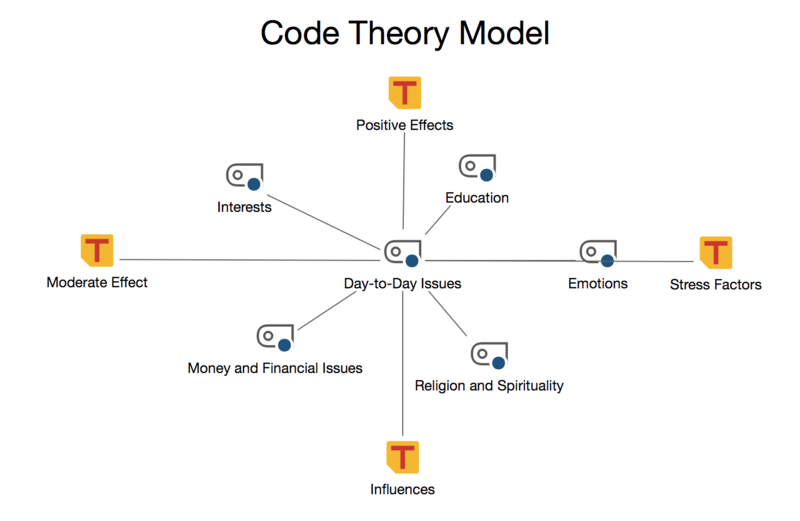 The code icon is put in the center of the map with the subcodes arranged in a circle around it. Subcodes can be arranged on two hierarchical levels, with the first level forming an inner circle around the code, and the second level forming an outer circle. The memos are connected to the codes/subcodes with a line. Since memos can be linked to more than one code, each code may be connected with several lines. 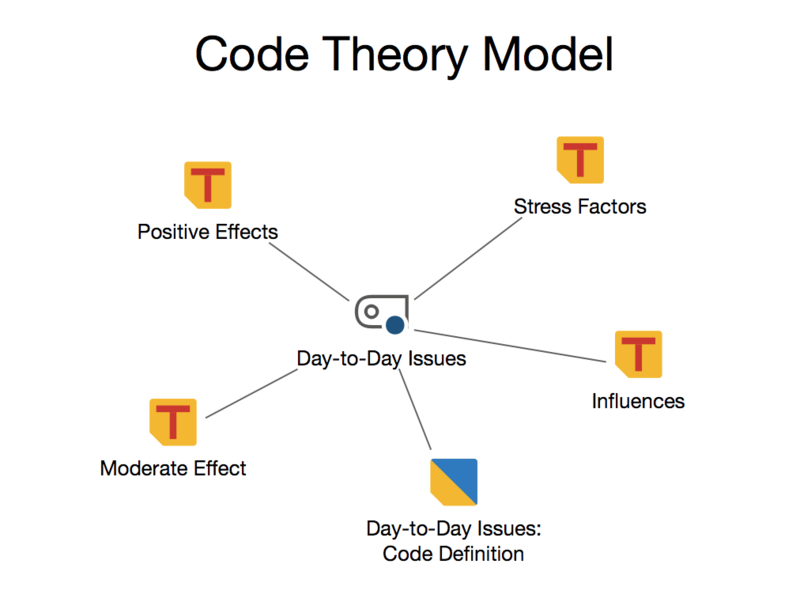 Display code memos – If this box is checked, code memos from the “Code System” are included in the map. Max. quantity – In this part you can set the maximum number of linked memos to be displayed. 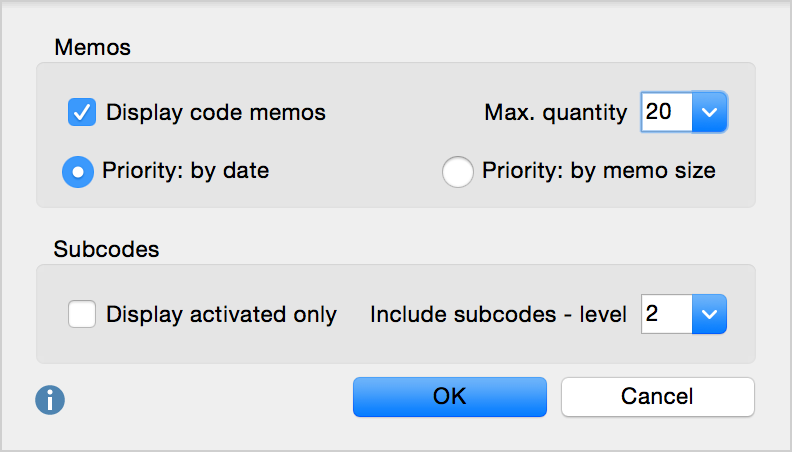 If there are more memos than the set maximum quantity to be displayed, the memos will be prioritized by date (newer codes get priority) or according to memo size (longer memos get priority).